George Creznic Jr : HELM CREZNIC & ASSOCIATES, INC.
With Kestra Investment Services, LLC, George continues his diverse career in the financial services industry, which began in the 1970s. 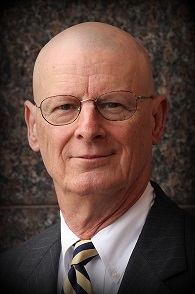 A Chartered Financial Consultant and Chartered Life Underwriter for over 35 years, he recognized the need to expand the financial services offered to his clients and became a licensed Registered Representative with Kestra Investment Services (Kestra IS) and Investment Advisor Representative with Kestra Advisory Services LLC (Kestra AS). Through Kestra IS, a broker dealer and Kestra AS, a federally registered investment advisor he is able to provide his clients access to professional money managers, mutual funds, variable annuities, variable life insurance and general securities. George was born in Harrisburg, Pennsylvania, graduated from Western Kentucky University, and served as a First Lieutenant Armor, US Army. He has been married for over 44 years, is an active member of his church, has two adult children, and two grandsons.